Seaham Windows have been presented with the prestigious honour of being selected by The Master Window & Conservatory Installers Association as one of the nations Top 100 companies. With over 22 years of manufacturing and installation experience, customers are ensured to receive the highest levels of service, product quality and techical know-how. Managing Director, John Slee, has an immense knowledge of all manufacturing procedures and installation techniques, which is backed by a team of experienced specialists. Whether you require repairs or a full installation, Seaham Windows, Doors & Conservatories can fulfil your requirements to the highest possible standards. Dan Waterworth, Principal Top 100 Building Surveyor said, "John is rightly proud of the level of service and product quality that is provided to the customer. This is a company with a very high level of integrity, professional skills and excellent customer care. The high standards shown by Seaham Windows, throughout the vetting procedure are exactly the high levels required to achieve Top 100 Registration. This is a first rate company". And all backed up by a professional, dedicated after sales service. 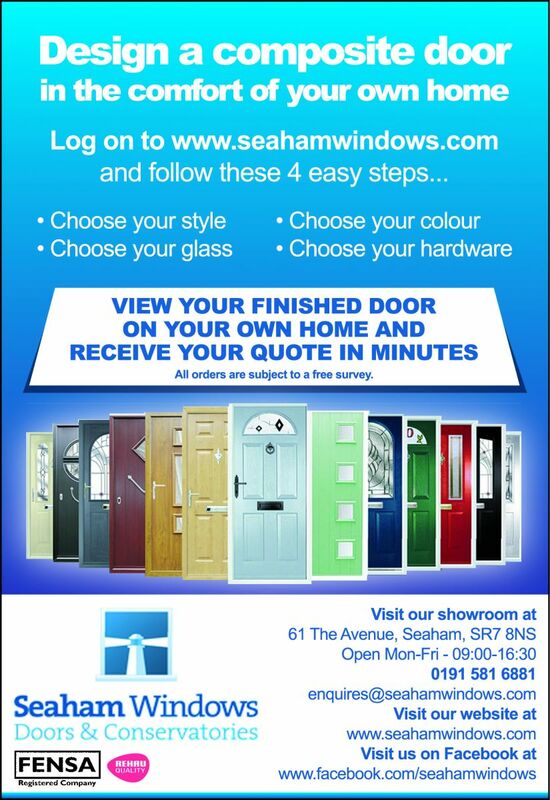 Therefore when choosing a trades person or company to work at your property, choose one of the TOP 100, choose Seaham Windows. So, what is the Top 100? The Top 100 is a register of the Top 100 trades people in your area. Each Top 100 member is carefully chosen by a team of 'Private Practice Surveyors'. The Top 100 do not accept second best! Only the most professional, well qualified and consistent providers of high levels of customer service are accepted on the register. The Top 100 register was formed to 'weed out' the 'cowboys' and 'rogues', to ensure proper levels of professional service to the customer. 1. All members of the Top 100 Master Trades Register undergo the strictest vetting within the industry which considers technical competency, business competency and of paramount importance, consumer care and after sales service. We expect the highest standards in all disciplines. The Top 100 Master Trades members must put customers first. 2. The unqiue consumer charter provides a clear indication as to what standards of workmanship, professionalism, integrity and respect you will receive from your local Top 100 Master Trades member. 3. All Top 100 Master Trades members will give clear, concise advice, and an easily understood and clearly set out estimate of the works to be carried out, and the price of those works. 4. All Top 100 Master Trades members undergo an ongoing programme of continual professional development (CPD) including elements of health and safety, technical advancements and customer care standards. 5. All Top 100 Master Trades members must carry public liability and employers liability insurance, copies of these policies must be available to consumers on request. 6. All Top 100 Master Trades members must adhere to the 'tidy site campaign' whereby the consumers property must be protected from debris, both internally and externally. The site must be kept clean, tidy and safe at all times, and at the end of each working day. 7. All Top 100 Master Trades members must carry their coded indentification card at all times for presentation to the customer on request. 8. All Top 100 Trades members are provided with bespoke work wear which clearly shows their Top 100 registration and the name of the member company. All members are encouraged to wear these garments when attending the customers property. 9. In the unlikely event of a dispute between a consumer and the Master Trades member, a free mediation service and dispute resolution service is provided by the Top 100 Trades Register. These mediations are carried out by Mr D Waterworth BSc (Hons) FBEng MEWI. Expert Witness / Building Surveyor / Building Engineer, with experience of over 1,000 disputed matters. The Top 100 Master Trades member gives an undertaking that the mediator's findings will be final and will not be brought into question. 10. All Top 100 Master Trades members give an undertaking that they will provide a polite, reliable and professional service, placing the wellbeing of the consumer and the customers property at the forefront of their work ethic throughout all of the transcation. If you would like to discover first hand the service levels and craftsmanship of one of the best window, door & conservatory companies in the country, contact us today for a free quotation, or visit us at our showroom.